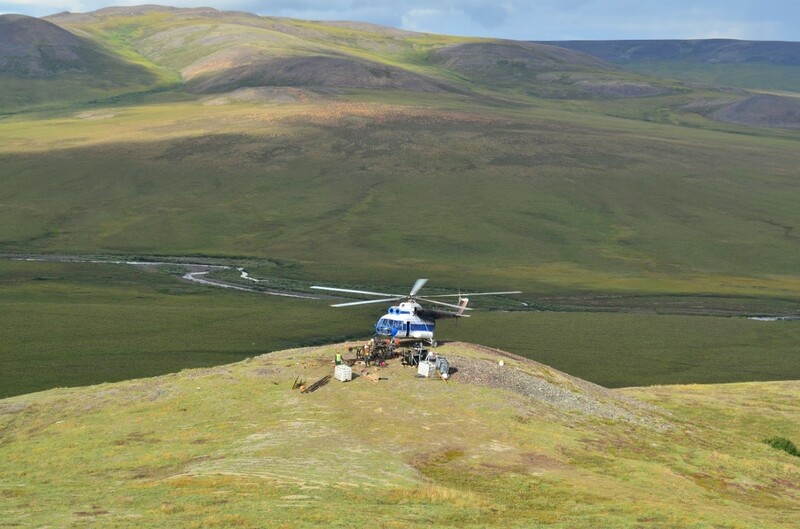 Exploration in Far Eastern Russia is a challenge at the best of times, but it has been impossible during the summer months, when the tundra melts and heavy vehicles needed for carrying drills and pumps would damage the fragile terrain and sink in the soft swampy ground. But the Kinross exploration team may have found a way to reach previously inaccessible exploration targets during the prime summer months between May and September. This past summer the team launched a trial exploration program using a helicopter to fly in heavy equipment such as hydraulic stations, drill rigs and hoses, as well as a small on-the-ground team. “The project is exciting. We started with one trial and now have had two exploration target runs so far. There’s a lot of potential,” explained Valentin Buhov, Exploration Manager, Kupol. 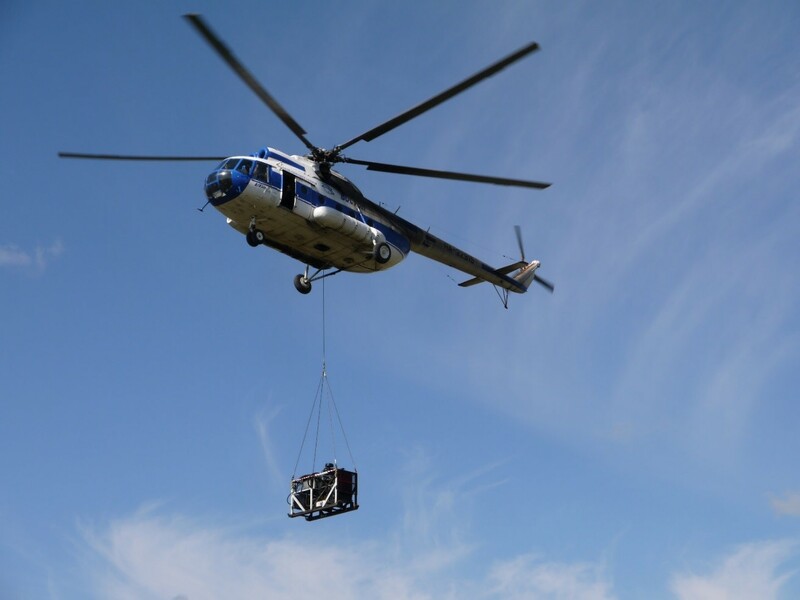 Bringing the equipment in by air is more costly, but significantly expands the exploration season – which has been limited to drilling with winterized rigs during the winter - while avoiding damage to the tundra. 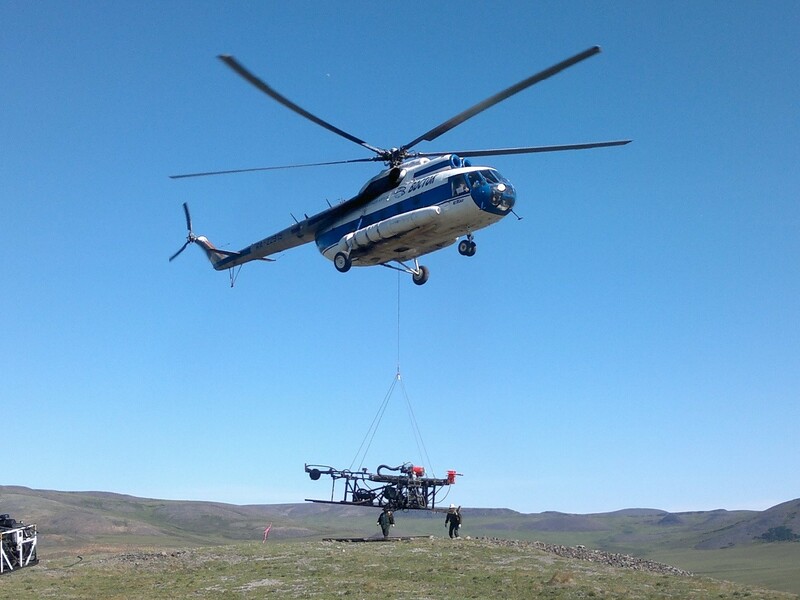 There is one catch however - for helicopter drilling to work, drill rigs need to be connected to a water source by pipeline at all times, requiring them to stay within 500 metres of water. “It can’t go below zero degrees at any point or else the water will freeze, making it impossible to drill,” explained Valentin. The team is looking to continue helicopter exploration next summer.